Android Beam has been around since 4.0, but the NFC sharing tool has always been a little awkward (I think I've used it successfully twice in three years), since it relies on both phones physically detecting each other in proximity before you can even initiate the sending process. 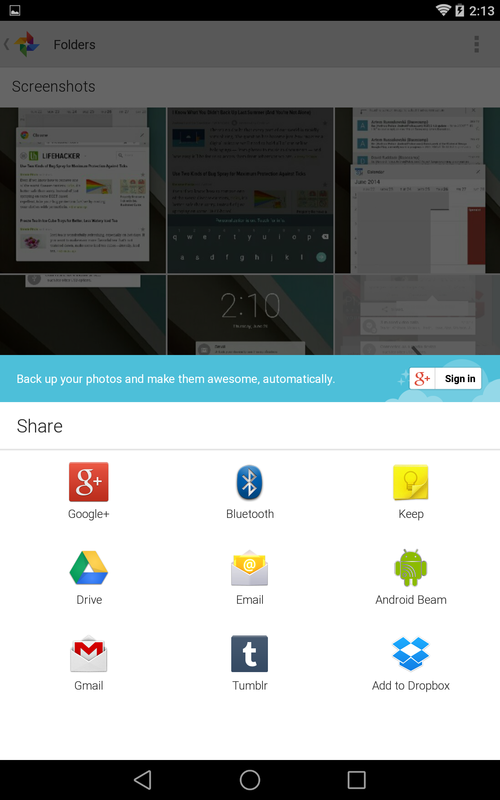 In the preview versions of the "L" release, Beam finally gets its own dedicated option in the standard Android Share menu, which should make it much less ambiguous. Basically, tapping Beam in the Share menu will initiate the swooshy Beam animation, even if there's no corresponding Android device with NFC to send things to yet. 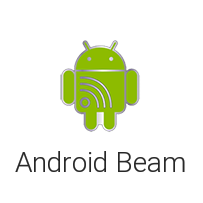 By calling on the standard android.nfc.NfcAdapter.invokeBeam() API, it negates the need to tap the screen once you're in proximity - the file or contact or website or what have you is simply sent to the other device once it's in range. The opposite user will still need both NFC and Android Beam enabled in their settings menu, and the old method of a simple tap should still work. But manually triggering the share function should eliminate some of the uncertainty around the admittedly clunky "touch and tap" method. It should also more distinctly establish the to>from relationship of the share, cutting down on a bit of confusion.